Earlier today, United Airlines announced new non-stop service between Washington Dulles and Tel Aviv. The flight is now available for booking revenue and mileage space. Currently, United has scheduled a tri-cabin 777-200 on the route, featuring 8 first class seats, 40 in business class, and 221 in economy class (113 in Economy Plus, 108 in United Economy). While the 2-4-2 seating in business class is tight, I still find the seat comfortable and have no problem sleeping on it. Since United has no competition on the new route (at least not yet…let’s see what EL-AL does next), it might be able to get away with the less competitive business class product. Even so, I’m guessing that this aircraft will be retrofitted to include Polaris seats by the time this flight commences next spring with direct aisle access from every business class seat. In taking a look at award space, you can find saver space in both economy class for 42.5K miles on most days the flight operates next June. There’s even some saver space in business class for 75K each. That’s a rare sighting. Tel Aviv flights have performed extremely well for United and saver award space is difficult to come by. UPDATE: Within the last few minutes, all saver award space has either been booked or pulled. I suspect the latter, since it is no longer available on even one day, so keep an eye on it and see if it returns. Now is your chance to book a family trip to Israel using miles. While not the best value, I still don’t expect this space to last long. It’s great to see a new longhaul route from Washington Dulles. 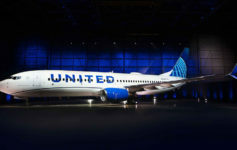 Do you think United’s new service to Tel Aviv from Washington Dulles will be successful?